Quest Project Press, 9780996360708, 198pp. There's never been a more challenging time to be the mother of a teenage boy. Our young men are currently in crisis, falling far behind their female counterparts in school and in life and failing to learn the lessons they need to survive and thrive in the adult world. With SavingOur Sons, veteran psychotherapist and founder of The Quest Project(R) Clayton Lessor, MA, LPC is out to reverse this trend. 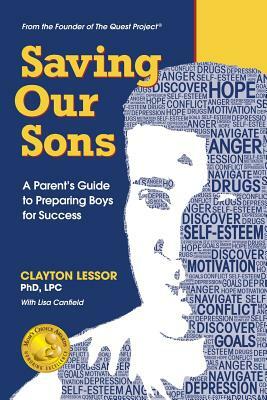 Based on years of research, study and practical application, Saving Our Sons provides mothers--as well as fathers and other caregivers--with the expert guidance they need to help their sons navigate the turbulent transition between boyhood and manhood.